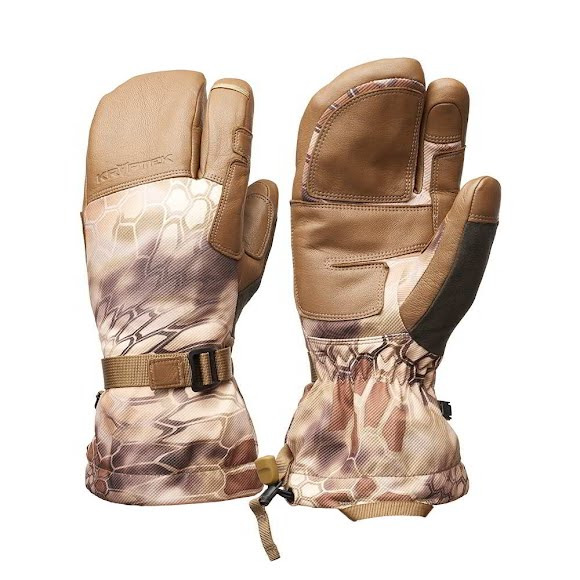 Kryptek Apparel's Briareos finger mitt is their warmest glove for late-season hunts. The combination of Wool lining, Primaloft® insulation and an OutDry® breathable membrane provide unbeatable performance. The finger mitt design allows for addition dexterity and is perfect for extreme cold and wet weather. Kryptek Apparel &apos;s Briareos finger mitt is their warmest glove for late-season hunts. The combination of Wool lining, Primaloft® insulation and an OutDry® breathable membrane provide unbeatable performance. The finger mitt design allows for addition dexterity and is perfect for extreme cold and wet weather. The benchmark in performance of all synthetic insulation, Primaloft® Gold Insulation is the go-to choice for adventurers looking for protection in extreme conditions. Microfibers trap body heat to make this the most efficient synthetic insulation available, with water-repellency that insulates even in the wettest weather, maintaining 98% of warmth when wet. These unmatched thermal properties also feature breathability, packability and outstanding softness. Consider this the pinnacle of insulation performance. OutDry™ uses a one-piece patented construction process that creates a waterproof breathable barrier, leaving no way for water to get in.